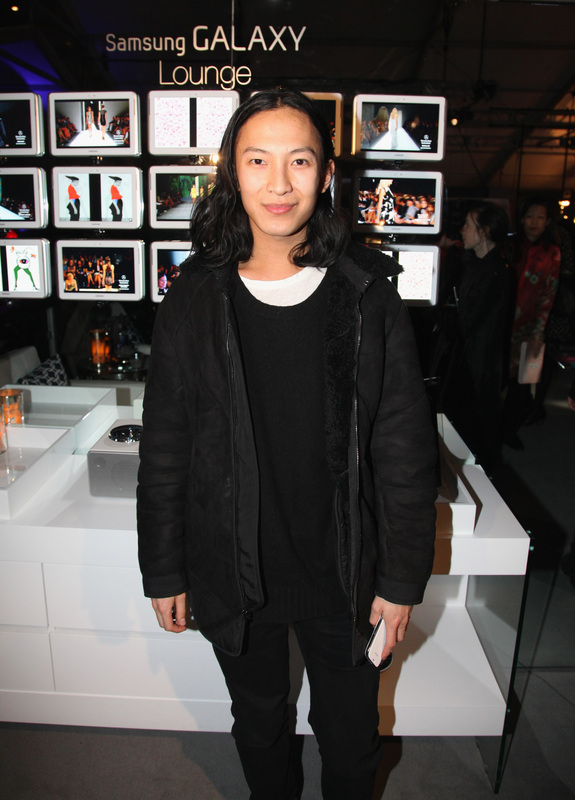 If you didn't attend Alexander Wang's secret event this Saturday, chances are you're still kicking yourself. And if you did go, chances are you're decked out in head-to-toe Wang. On Saturday, the designer held a secret get-together publicized by sandwich boards, elusive tweets, and a few invites to select editors. Wang fans began queuing at 7 AM, even though they had no idea what they were actually in line for. Once the doors opened, the first 100 in line were allowed to grab unlimited supplies of clothing (No shoes or handbags were available). No, really. People walked away with boxes and boxes of designer clothing. Garbage bags filled with designer clothing. What jerks. So, why would a designer just give away his clothes? Well, you could argue that Wang was just feeling charitable. After all, he definitely does have a fun side — boyfriend skipped down the runway at S/S 2013 Fashion Week. But it more likely has to do with Wang wanting to remind the fashion industry that it's his eponymous line — not Balenciaga, for which he became creative director last November — that has his heart. In the past year, most Alexander Wang news has been about Balenciaga — his first Balenciaga meeting, his first Baleciaga campaign, his first Balenciaga collection. The event on Saturday was a welcome reminder to fans, editors, and designers that Wang's namesake brand is still very much front and center.